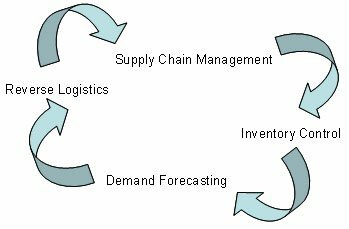 The answer to the question of "what is inventory management" is: Inventory management is a collection of interdisciplinary processes that include a full circle from supply chain management to demand forecasting, through inventory control and including reverse logistics. Inventory management starts and ends with supply chain management because many of the opportunities to improve efficiencies start with shortening order to receipt time without incurring additional cost. That said, the other stages of the inventory management cycle are no less important in attaining overall efficiency. Given that inventory in all its forms generally represents one of the top three expense lines for nearly all companies, there is a universal need for applying the right discipline to each step in the process. While in the perfect world, all inventory is consumed daily, we must operate businesses in a less than perfect environment. The challenge is: how close can you get to perfect before Just In Time inventory management becomes a little too late. Inventory management in its most efficient form incorporates many different technical applications of inventory management models. Such concepts as safety stock, economic ordering quantity, cost of goods, inventory turnover, customer managed inventory and a vendor managed inventory, whole spectrum of underlying inventory management tools play a critical role in what is inventory management. Different industries have different needs when asking the question what is inventory management, but many of the concepts are the same. While the key principles of inventory management remain the same across all industries, the areas which require emphasis vary from sector to sector. Learning to apply the right inventory management tools is part of executing the art and science of what is inventory management. Effective inventory management depends on understanding all the details of what is inventory management. By applying lean practices to all aspects of the inventory management cycle, businesses can reduce investment in standing inventory, plant rental, shipping costs, reverse logistics while maintaining or improving customer service levels and in-stock metrics on critical inventory. This is the result of having what your need, when you need it, where you thought you had it. 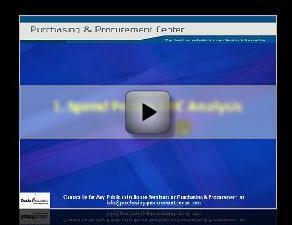 That is the core standard by which to measure the results of your businesses inventory management program.